This is wonderful information to share. Thank you. The content is so important. I will tell everyone about your website. Especially my participants and Parents of children in my Early Childhood learning programs. THank you for the list. My son has a large vocabulary of nouns but is missing most of the other words and I think I have focused way more on labeling objects so this was a good reminder for me. He loves to look at picture books with the objects labeled and so we do those alot. One question…we know all our animal sounds but how to I get him to say the animals. he knows all his animals but will only label them by sound…so horse is nay, ect. he’s 23 months old. My toddler is 3 years old and really struggles on saying words and expressing what he needs. I’ve been concerned with this since he turned 2. Not sure what to do. I’m getting really worried and wondered if this might help him. My daughter is 17 months old. This list of words help me compile a list of what I know my daughter already knows, and helped me realize I need to emphasize more of the pronouns. We use them, but I don’t tend to use them a lot when I ask her questions about things. So now, I know I need to be asking and saying things with You, I, me, it, etc in them making a little more emphasis on them. We do a lot of of, “What’s that?” which has made her have a very large vocabulary in nouns, verbs, and adjectives. Now I think I am going to shift my questions to more open ended questions, and talk more about me, I, you, it, and other pronouns. Thanks for your comment Saraj! You sound like a great mom! This response answered my questions. My son like Latisha’s is not verbally expressive but will repeat or mimick when I say the word. I will follow your suggestions and continue working with him. Patience is the key. My grandson also has mixed receptive-expressive language problems and is autistic. We have come to see it as a blessing and not a burden. He thinks differently from other people but so do we. He just made us notice. One thing I noticed early on was that he was using the same words, leaving out the same words, and putting words in the same order as American Sign Language. He also used some ASL idioms, as they would be translated into spoken words, without ever learning sign. This tells me he is a strong visual thinker. He figures things out long before he is able to express them. He is 7 now and still using some of the same expressions he did at 3 or 4. And most of all, he is a real gentlemen, sensitive and polite. Thank you so much Laura. I guess I got a lot of answer from this conversation. We stay in Japan and my son (31 months old) goes to an exclusive Japanese speaking daycare. At 27 months my son was diagnosed by a doctor as a possible case of Autism (moderate)! He performed poorly in IQ test which involved speech and picture reading. My SLP who is an American having 20 years of experience in treating Autism, says she does not think my son is autistic but having a receptive speech delay. She also thinks he is smart, having good problem solving skills, and super-curious! He is same as Latisha’s son, used to sing a lot of songs, or sometimes communicate his needs through songs! He never used to imitate or repeat our words. These days he is imitating a lot, repeating words, seem to have ‘learnt the way to learn’! He can follow few simple directions, but still he seems a bit confused at times as he seem to not trust words or gestures. Your website was a great help for us, thanks a ton for being such an angel for us. Now the problem is, his vocabulary is growing very slowly, so he is not advancing fast or on concrete footing in taking commands. We decided to buy your DVD for teach me to listen and obey. Do you have special recommendation for him? What do you think his case is? What a great article! 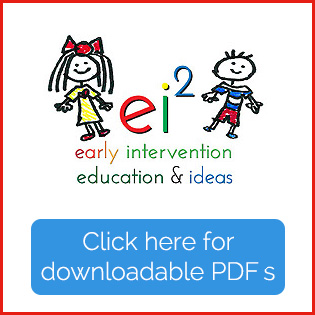 I am a mom of 5 and a speech-language pathologist and I really love your site. 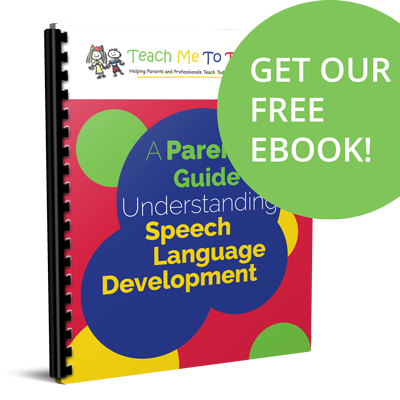 It’s so important for parents to know that they are their child’s main teacher for communication skills-whether typically developing or delayed. Parents and family members need the type of information you provide to find their confidence in the process of development! Great job. 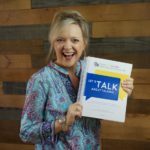 You can find more suggestions for parents in the book 10 Minutes for Talking: How to Raise a Strong Communicator in 10 Minutes a Day. It focuses on giving parents ideas to facilitate speech and language development during daily activities. Great stuff. Thank you very much for this material. I am going to use it now to teach my daughter. So grateful for your contribution. Just a help in need. Thanks Again! !